Denmark has a long tradition in the art of ink and is the country where the oldest functioning tattoo shop in the world was founded at the beginning of the 20th century. Nowadays, several tattoo shops all over the country keep this tradition alive with some of the world’s most talented artists designing mind-blowing tattoos. Miss Roxy or Helle, as she was known before entering the tattoo scene back in the 1970s, is one of the most experienced tattoo artists in Denmark. Her career started around 40 years ago when Tattoo Svend, one of the most renowned tattoo studios at the time, welcomed her to his team and helped her learn the art of ink. That was only the beginning. After seven years by Svend’s side Helle became ‘Miss Roxy’ and set off to explore the world and further develop her skills in tattooing. She ended up in Hawaii where she opened her own boutique. Luckily for the Danes, after some years she felt homesick and returned to Denmark opening her own tattoo studio in Copenhagen. The award-winning tattoo artist likes drawing realistic images, but she wouldn’t say no to more abstract Dali-style designs, too. Royal Tattoo opened its doors for the first time in 1983. Henning Jorgensen, the founder of the famous tattoo studio, started his career in the tattoo scene when he was 18 years old. Throughout the years he gained the title of “Tattooist of the Year” three times as well as many other awards. Surrounded by a great team, Jorgensen still has one of the most noteworthy tattoo shops in Denmark and tattoo fans from all over the world travel to Helsingør to get inked by his talented hands. The first Art of Ink tattoo studio opened in Odense in 2009 only to be followed a year later by another in Aarhus. 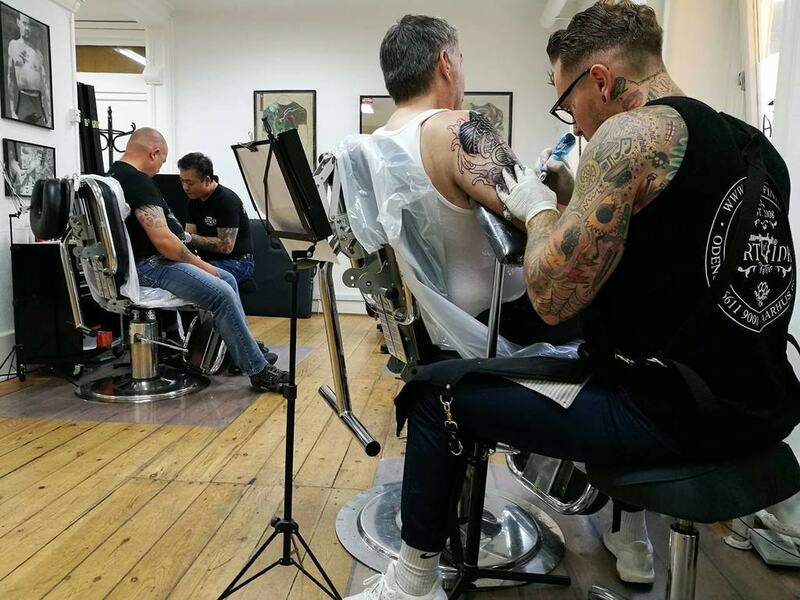 The Art of Ink family consists of several talented tattoo artists who specialise in different tattoo styles and always strive to create the best design. Each client’s personal style and needs are always prioritised and play a significant role during the process. Both studios are centrally located, surrounded by hip coffee shops and cool boutiques, so it’s easy to be spotted. 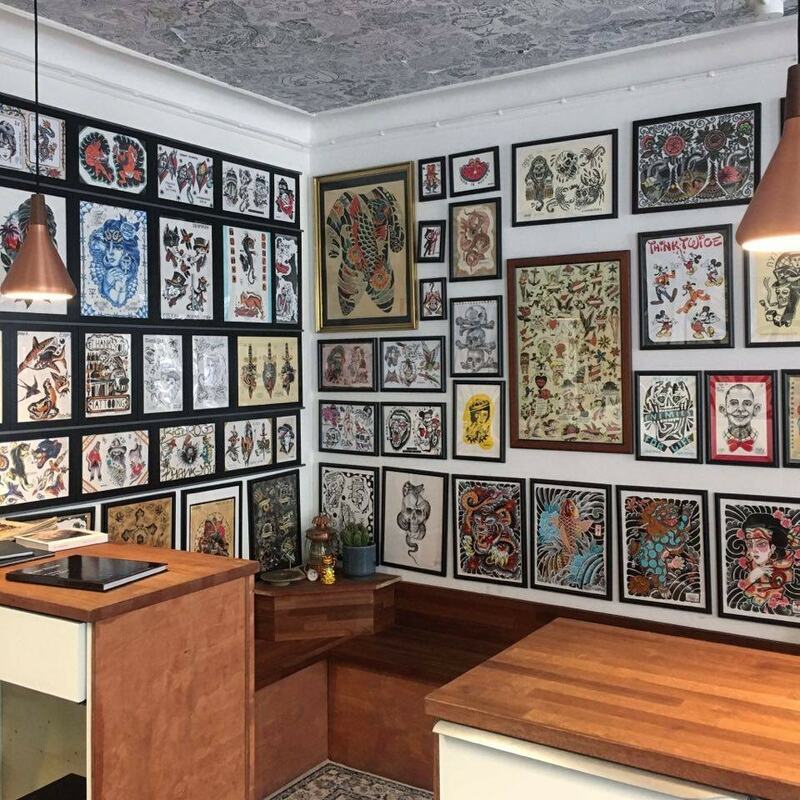 Thank you Tattoo is located in Vesterbro, one of the hippest neighborhoods in Copenhagen and its style fits perfectly to the area’s vibe. Tato Toby, Mikkel Westrup and Johnny Raindog, are the people behind the renowned studio and each one of them has mastered different tattoo styles including new school, traditional and realism. The shop’s friendly atmosphere makes everyone feel comfortable during the often painful process. Maybe that’s the reason why Thank You Tattoo is the favourite of the city’s hippest crowd. Sinners Inc Art Collective in Aarhus is a 160m2 tattoo studio that opened for the first time seven years ago. 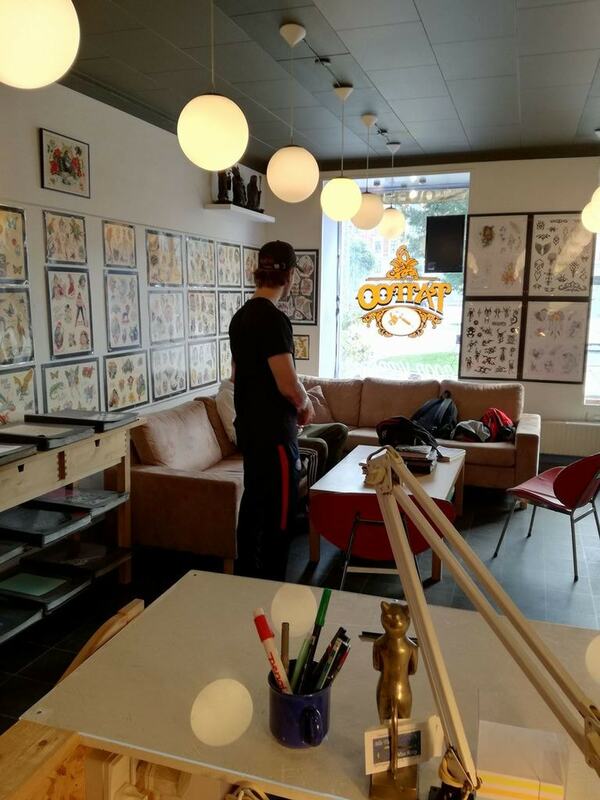 Aside of approximately 10 tattoo artists who work all year round, Sinners Inc Art Collective offers a working space to world-class tattoo artists who visit Denmark just for a short time. From old school and neo-traditional to blackwork and dotwork, Aarhus’ largest studio has tattoo artists specialising in every style. House of Ink in Aarhus opened in 2010. It instantly became known and over the past seven years, has welcomed thousands of tattoo enthusiasts. The House of Ink team is carefully selected and consists of highly experienced tattoo artists. The high-quality results and friendly atmosphere of the cozy tattoo studio has gained it a great reputation not only in Denmark, but all over the world. World-renowned tattoo artists are often hosted by the hip shop offering limited tattoo sessions. 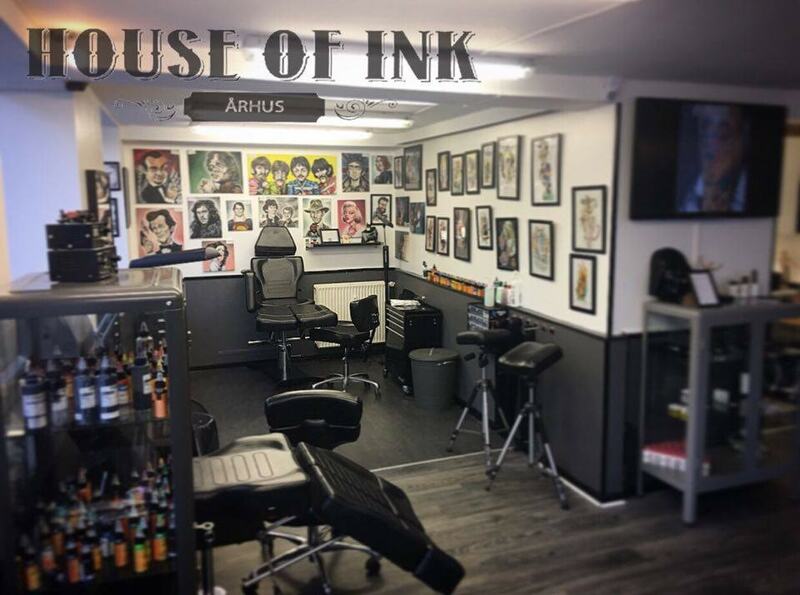 Aside of Aarhus, House of Ink can also be found in Odense, Kolding, Tønder, Esbjerg, København and Sønderborg. House of Ink, Jægergårdsgade 50, Århus, Denmark, +45 31718070. For the past 10 years Amina Charai, Tony Garcia, Saeid, Kuba Kujawa, Aygul and Amalie, the team of Bright Side Tattoo have been welcoming tattoo aficionados at their studio by the waterfront at Christianshavn neighborhood. Striving to always achieve the best results and consult its customers based on their preferences, Bright Side Tattoo has a great reputation and is among the top tattoo shops in Denmark. Keep an eye on the official website because guest tattoo artists often visit.